Joe Reinhart is a shareholder and co-chairman of the Energy and Natural Resources Group of Babst Calland. He is also a member of the Firm’s Environmental Group. His environmental practice focuses on areas of environmental law that concern oil and gas well development, chemical plant operations, coal mining and non-coal mining. In addition, Mr. Reinhart’s practice includes the application of state and federal laws governing the disposal of produced waters and other wastes generated by gas, coal and electric utility industries. Mr. Reinhart also routinely counsels clients concerning risk-based remediation programs, such as Pennsylvania’s Act 2 Program, particularly as they relate to wastes derived from fossil fuels. Mr. Reinhart has more than 30 years of experience with environmental law. He has represented industrial and commercial clients in many complex permitting and enforcement matters under federal and state laws. Mr. Reinhart has negotiated consent orders with agencies to resolve liabilities associated with reclamation and remediation obligations under SMCRA, CERCLA, RCRA, the SDWA, the Pennsylvania Oil and Gas Act, the Solid Waste Management Act, the Pennsylvania Hazardous Sites Cleanup Act and the Pennsylvania Clean Streams Law. He has negotiated environmental provisions in business transactions involving coal mines, petrochemical facilities and industrial properties across the United States. Mr. Reinhart frequently lectures on new developments in environmental law and has provided comments on behalf of industry to agency regulatory initiatives. Beginning in 2003, and annually thereafter, he has been appointed by the secretaries of the Pennsylvania Department of Environmental Protection to the Pennsylvania Solid Waste Advisory Committee (SWAC). In addition, Mr. Reinhart is a Trustee of the Energy and Mineral Law Foundation, where he presently serves on its Law Student Scholarship Committee. He also served as co-chair of the Oil & Gas Program at the 60th Annual Rocky Mountain Mineral Law Institute in Vail, Colorado and chaired the Oil & Gas Program at the 2015 Annual Energy and Mineral Law Foundation Institute in Amelia Island, Florida. Mr. Reinhart earned his B.A. from the University of Notre Dame in 1981 and his J.D. from the University of Pittsburgh School of Law in 1984. From 1984–1988, he served as counsel to the Pennsylvania Department of Environmental Resources. Mr. Reinhart joined the law firm in 1988 and served as chairman of the Environmental Group for eight years. Mr. Reinhart is licensed to practice in Pennsylvania and West Virginia. He is a member of the Allegheny County, Pennsylvania, West Virginia and the American Bar associations. 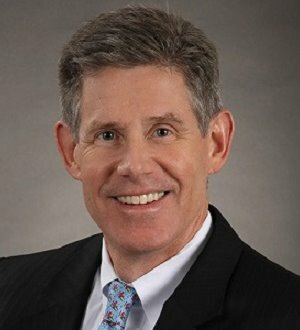 Mr. Reinhart has been listed in The Best Lawyers in America© since 2003 in the Energy Law, Environmental Law, Litigation – Environmental, and Natural Resources Law sections and was named the Best Lawyers® 2018 Energy Law “Lawyer of the Year” and 2019 Environmental Law “Lawyer of the Year” in Pittsburgh, Pa. Since 2005, he has been ranked among Pennsylvania’s top environmental lawyers in Chambers USA’s America’s Leading Business Lawyers.